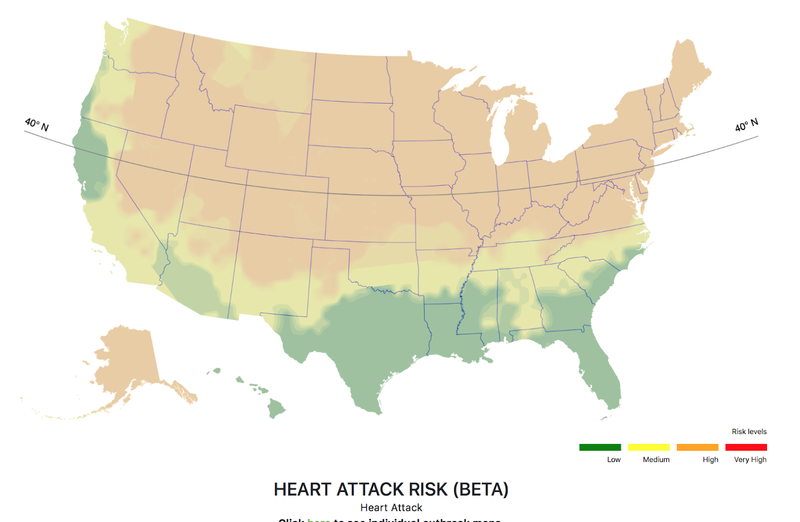 Here is Ascel Bio's heart attack risk map as of 2pm CST on Friday. Peer-reviewed medical research clearly ties heart attacks to specific weather conditions which are factored into Ascel Bio's (beta) Forecast above. You can find more information here.